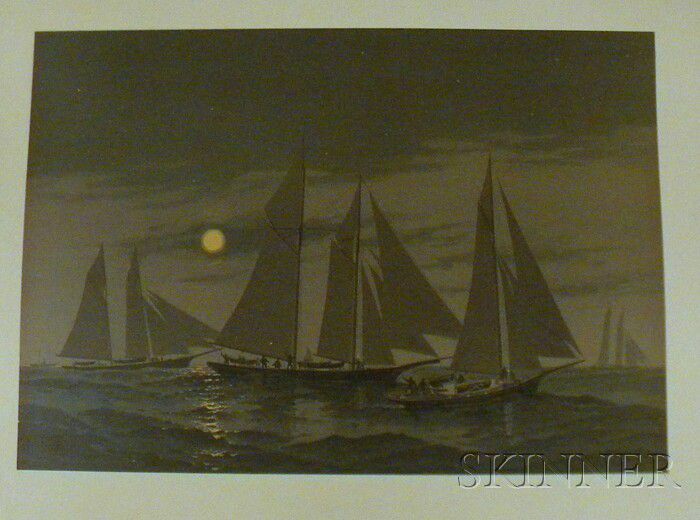 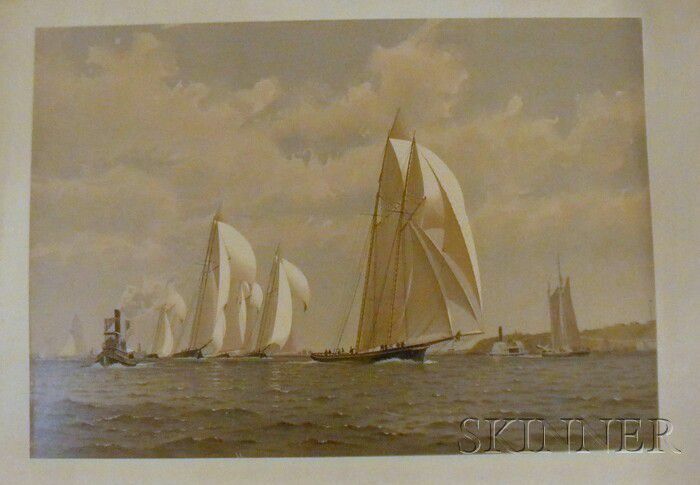 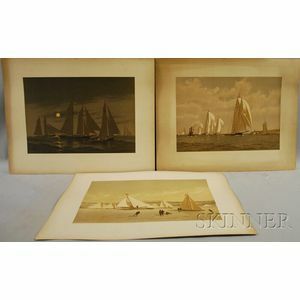 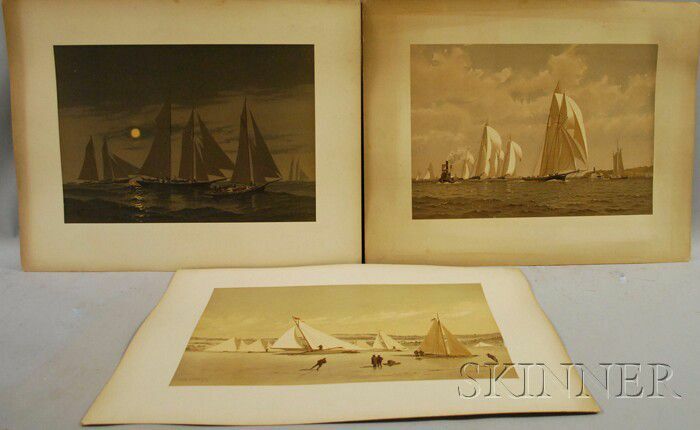 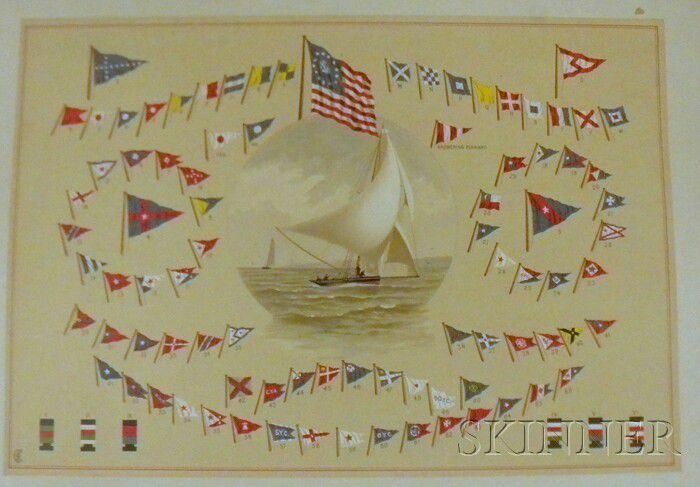 Lot of Six Unframed Chromolithographs from American Yachts, the series published by Charles Scribner's Sons, New York, 1884; titles include: Plate II - Sandy Hook to the Needles, Plate VI -The Finish Off Staten Island, Plate XIV - Moonlight on Nantucket Shoals, Plate XVI - A Stern Chase and A Long One, Plate XXV - Ice Boating on the Hudson, and Plate XXVI - Signal Chart, plus the title page. 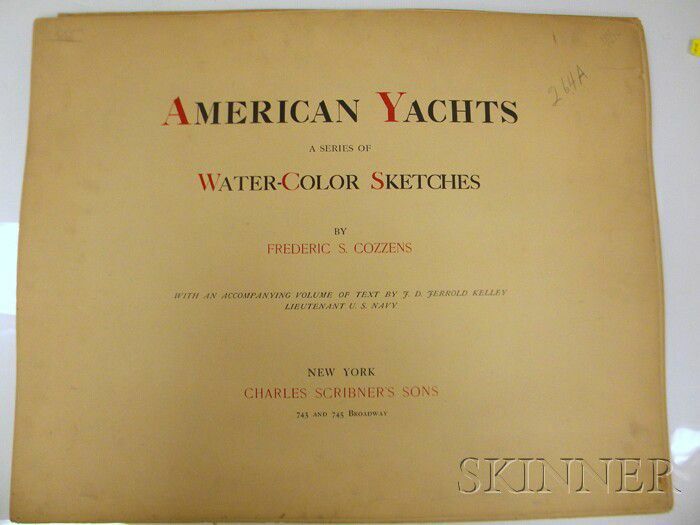 Most signed "Fred. 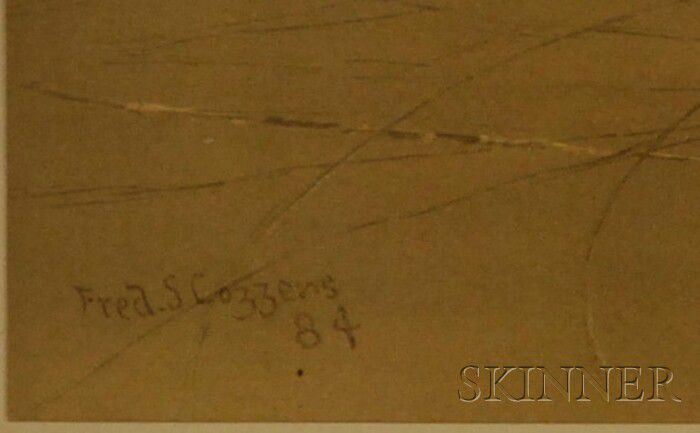 S. Cozzens" and dated "83" or "84" l.l. 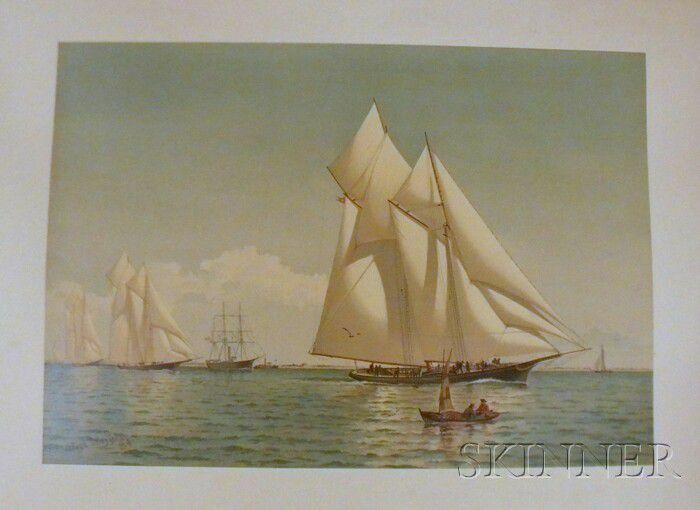 in the plates, Signal with monogram l.l. 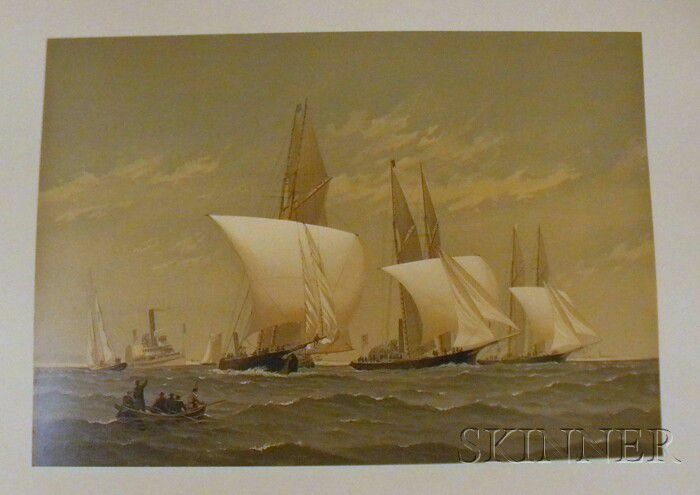 Chromolithographs, 14 3/8 x 20 5/8 in., mounted to card stock, unframed. 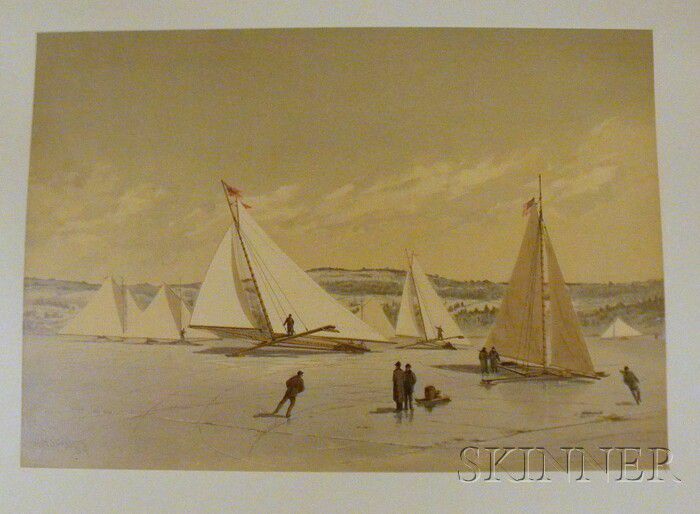 Condition: Surface grime; toning, acid burn, and wear to card stock mounts; tear to title page and to mount of Signal.